1, Corrosive medium: it is advisable to choose the PTFE solenoid modular check valve and all stainless steel; for the strong corrosive medium, must choose the diaphragm type. Neutral medium, also should use the solenoid rexroth check valve which material of the valve shell using copper alloy, otherwise, the hydraulic cylinder check valve shell would often rust off if the action is not frequent. Ammonia valve can not be used with copper. 2, Explosive environment: must choose the appropriate explosion-proof grade products, should use waterproof or dust varieties at open-air installation or dust and more occasions. 3, The nominal pressure of solenoid rexroth check valve should exceed the maximum working pressure in the tube. The quality of gas, liquid or mixed state should choose different solenoid rexroth check valve. Different media temperature should use different specifications of products, otherwise the coil will burn, seal aging, serious impact on life expectancy. Medium viscosity usually below 50cSt. If more than this value, when diameter greater than 15mm should choose ZDF series multi-function valve for special order. 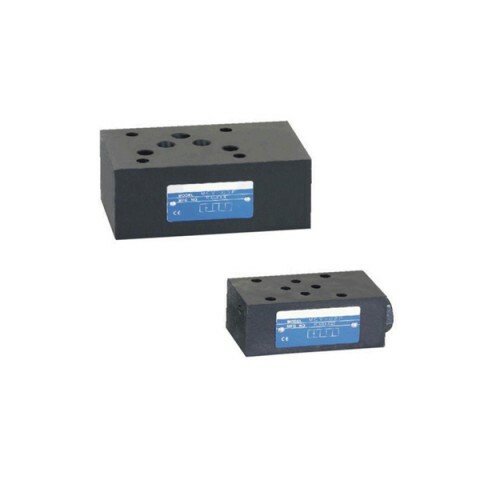 High viscosity solenoid yuken directional control valve should be selected if the diameter is less than 15mm. If the cleanliness of medium is not high, should be equipped with solenoid hydraulic cylinder check valve before the recoil filter valve, low pressure style can be used direct acting diaphragm solenoid valve. If the directional flow of media, and does not allow the flow back ZDF – N and N – ZQDF single use two-way flow, please make a special request. Medium temperature should be chosen within the allowable range of solenoid yuken directional valve. 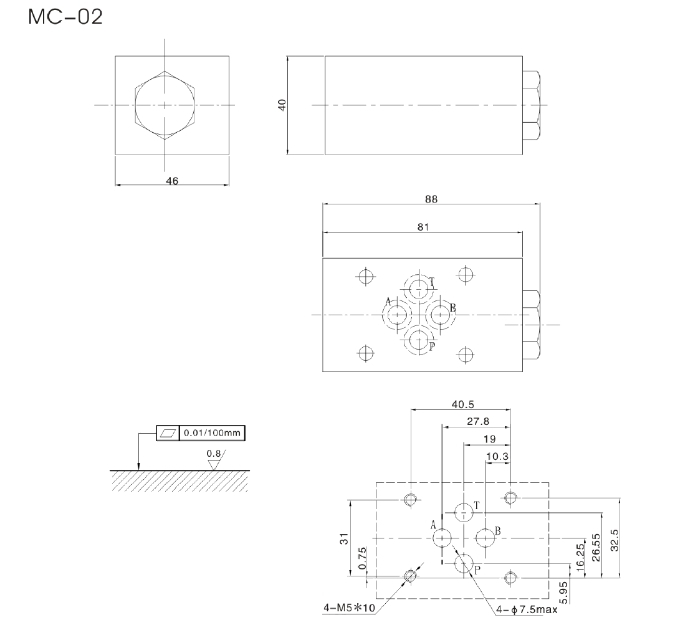 According to media flow requirements and pipeline connection to select the valve port and model. 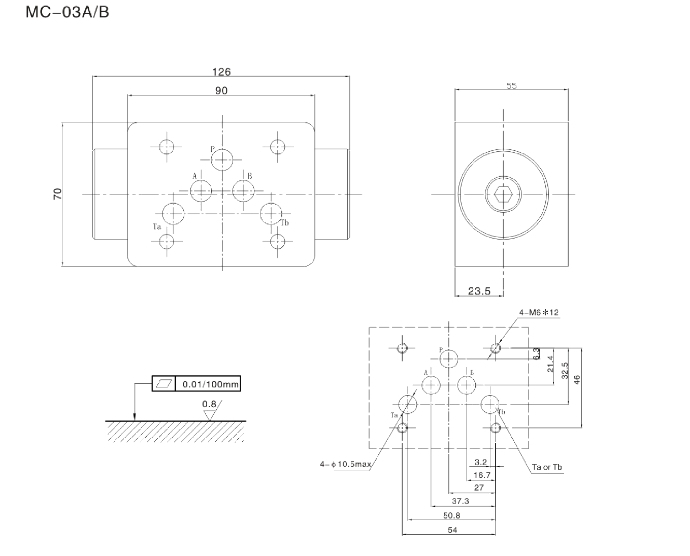 For example, for a pipeline to two channel switching, small path should select CA5 and Z3F, medium or large size should select ZDF – Z1/2. And select ZDF – Z2/1 to control two pipe confluence. Select nominal diameter according to the flow and Kv value, but also optional with the diameter of the pipe. 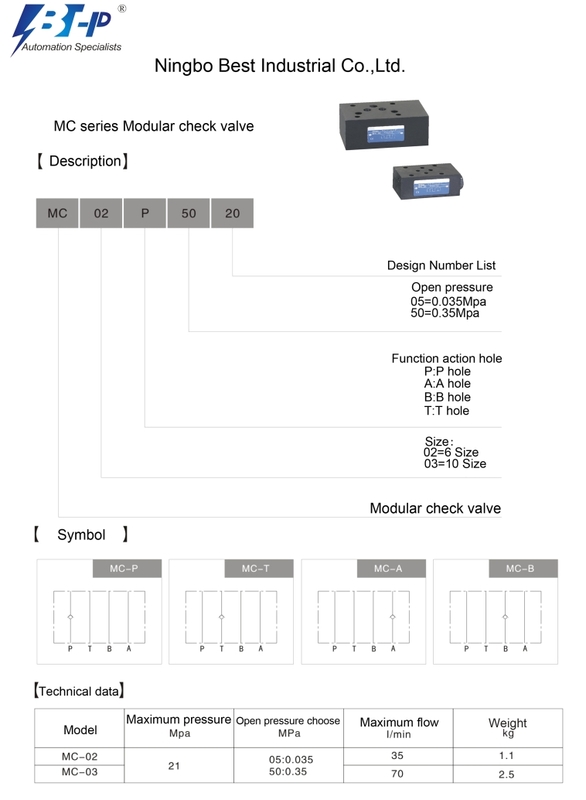 Please note that some manufacturers are not marked with the Kv value, the diameter of modular check valve hole often less than the interface size. Operating pressure: minimum working pressure at 0.04Mpa or more, can use indirect pilot type; minimum working pressure close to or less than zero, you must use direct or step by step type. The maximum and minimum temperature should be selected within the allowable range, if beyond the range required for special order. The environment of high humidity or rain and so on, should be selected water solenoid rexroth check valve. If often vibration, bumps and shocks should choose special varieties of occasions, such as marine solenoid modular check valve. In the corrosive or explosive environment, the corrosion resistance valve should be preferred. If the environment is limited, please use the multi-function solenoid hydraulic cylinder check valve, because it eliminates the bypass and three manual valves, and easy online maintenance. According to the types of power supply choose the AC and DC modular check valve. In general, easy to use AC power. The voltage specifications used as preferred 24V. Mains voltage fluctuations are usually AC selection +10%.-15%, DC to allow about%10, if the ultra poor, must take voltage regulator measures or put forward special orders. Rated current and power consumption should be selected according to the power supply capacity. Must pay attention to the high value of VA, when the capacity is insufficient, should give priority to the use of indirect rexroth check valve. Ordinary solenoid valve only has opening and closing two locations, you should choose a multi-position solenoid valve when the control parameters of precision need to be high and smooth; Z3CF three normally open solenoid hydraulic cylinder check valve, with the three kinds of flow as micro open, open and close; ZDF and Z1/1 combination of multi-function solenoid valve with three traffic as full open, open, small open. Action time refers to the completion time of electrical signal on or off to the main valve action. 1, The work system: divide into long-term work system, repeated short-term work system and short-term work system. Conventional products are long-term work system. Conventional products are long-term work system, that is, the coil is allowed to work long term. For the case as long time open and short time close, it is appropriate to use normally open solenoid hydraulic cylinder check valve. Used in the short term work system while large quantities, can be used as a special order to reduce power consumption. 2, The operating frequency: when the requirements of the action frequency is high, the structure should prefer to use DC solenoid valve, when the power supply is low should use AC modular check valve.